Leaves the lashes with density and elasticity. 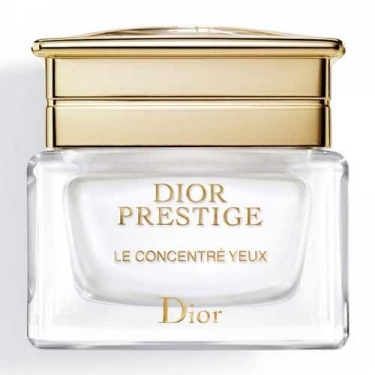 DESCRIPTION: Dior Prestige Le Concentré Yeux from Christian Dior is a cream that enhances the regeneration in the eye contour, thanks to a unique synergy between treatment and massage. With the eyes closed, its divinely fresh and engaging texture spreads throughout the area for more complete regeneration. Its action is driven by the Open EyeTM applicator. This technological marvel reproduces the techniques of the Dior Institut specialists, thanks to its double rotation beads. Immediately, the outline of the eyes becomes smoothed, marks of tiredness disappear. Day by day, the eyes open, enlarged by larger eyelashes. Full of femininity, they light up the face with a newfound beauty. Warm a pearl of the concentrate between your fingers. With your eyes closed, apply on all the panoramic area of the eyes. Then put pressure on the eyelids with the palm of your hand, then on the temples with your fingertips. With the white pearl of the Open EyeTM applicator, work the wrinkle between the eyebrows (lion's wrinkle) to the outside alternating rotation and straightening movements. Reproduce this gesture in the wrinkles of the outer corner of the eye. With your eyes closed, gently smooth the upper lashes with the white pearl. 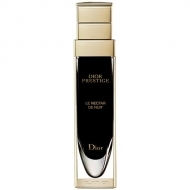 With the golden pearl, elongate the eyebrow up to widen the look. Massage with circular motions, above and below the eye contour. The freshness of the applicator helps to relieve the puffiness and dark circles. Clean the applicator after each use.